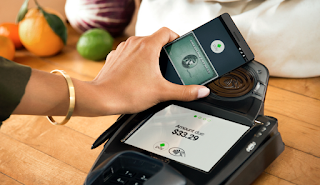 Productive Droid: Android Pay is here! Android Pay has hit Australia's shores. You need to head into the Google Play store and "Enable" it (as oppossed to the usual "Install" button. My personal frustration is that it works with my buniness related bank, but not the bank I use personally, which is the Bendigo Bank. A frustrating conversation with the Bendigo Bank helpdesk resulted in my finding out that it is "coming" but they could not give me any kind of source I could keep my eye on when it went live. As soon as that happens, goodbye wallet!